Nearly 11% of all women admit that they have done this at work without anyone knowing; what is it? Nearly 11% of all women admit that that they have drank alcohol at work without anyone knowing! 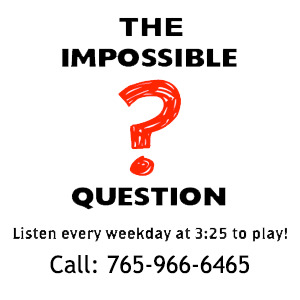 Congratulations to Maria Schambers of Cambridge City, IN for being the first to correctly answer the Impossible Question!